Sometime during the past week, I was conversing with someone about shamanism. 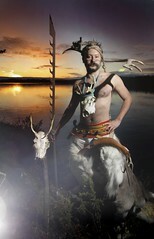 Throughout our conversation, I remember that I’d written a paper about shamanism when I was still at Sofia University. Since it’s been a couple of weeks since I last shared a paper, I thought that this synchronicity was a good opportunity to share it. This was a paper I wrote for a class called: “Proseminar in Social and Community Process: Culture & Consciousness.” In today’s post, we’ll look at the history of shamanism and the different definitions of shaman. ‘Shaman’ originated from the language of a Siberian tribe known as the Tungus (Peters, 1989; Smoley & Kinney, 2006). More specifically, it comes from the word ‘saman,’ which means “one who is excited, moved, raised” (Walsh, 1989, p. 2). Walsh goes on to say that “[shaman] may be derived from an ancient Indian word meaning ‘to heal oneself or practice austerities’ or from a Tungus verb meaning ‘to know’” (p. 2). It would appear that there is much more consensus on the origin of the word shaman than there is on the first appearance of shamanism in history. It is interesting to note the derivation of the word shaman because it relates to some of the various roles that shamans take on and definitions of shamanism, which we will learn about later on in the paper. 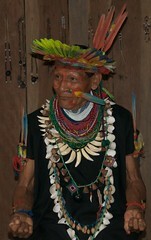 Briefly, part of a shaman’s role can involve healing and it is frequently tied to an altered state of consciousness, which explains the reference to austerities. As for the ‘knowing’ part of the etymology, shaman’s commonly engage in ‘conversations’ with spirits in order to gain information to heal. To this point, we have learned that shamanism dates back at least 10,000 years, but there is evidence to support that it has existed for 20,000 years or more, and that the word shaman originated from a Siberian tribe known as the Tungus. In the next section, we will explore some of the various definitions of the word shaman. The argument presented by Smoley and King (2006) is useful in the process of defining shamanism because they tell us that shamans do not want to define who they are nor do they want to define what it is that they do. To this point, we have learned that shamanism has a broad range of definition that begins with an altered state of consciousness and can be as specific as identifying the type of altered state, prototypical experiences, and the shaman’s goals. We have also learned that shamans do not like to call themselves shamans nor do they like to call their religion shamanism. In the next section, we will examine how one becomes a shaman for their respective tribe. Check back tomorrow for the next section: How One Becomes a Shaman.